TANCET 2019 Answer Key will be released on the website few days after the entrance test. TANCET is a state level entrance exam organized by Anna University, Chennai every year. This entrance test is organized every year to offer admission into M.Tech, M.E, M.Arch, M.Plan and MBA programmes. Candidates have to qualify this entrance test to get admission into Anna University and its various affiliated institutions situated in the state of Tamil Nadu. Through this article we have provided complete details related to TANCET Answer Key2019. TANCET 2019 Answer Key will be published on the website after few days of commencement of exams. Candidates through the Answer key will be able to know the correct answers to the questions asked in the entrance test. Also candidates can make use of answer key to calculate their probable score secured in the entrance test. If any problem arises in the Answer key, candidates can also submit suggestions and make objections. Candidates must submit the objections/suggestions with the proof of justification. After considering the suggestions, board will release final answer key on the website. TANCET 2019 cut off will be released for various government and non-government colleges in the state by the university. TANCET Counselling 2019 will be conducted in the month of June 2019. 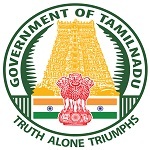 Candidates, those who pass the TANCET 2019 exam have to appear in the counselling process to get admission into Anna University, Government, private and Self-financing Colleges in Tamil Nadu. Visit the official portal of TANCET. A link will be provided on the website to download the “TANCET 2019 Answer key”. Click on the link. After clicking the link, a PDF file will open on the screen. The Answer key will be displayed on the screen and candidates can now match their attempted answers with it. Download the answer key and take the print out of it to calculate probable score of entrance test. Candidates can make use of the Answer key of TANCET 2019 to calculate their expected result. To calculate the score candidates have to first go through the marking scheme of the paper. The exam paper of TANCET 2019 will be of total 100 marks. For every correct answer, 1 mark will be awarded. 1/3 mark will be deducted for every incorrect answer. Compare your attempted answers with the answers given on the answer key. Add 1 mark for correct answers and then deduct 1/3 mark for the incorrect responses to calculate your score. After the release of Answer key of TANCET 2019, board will announce the results by online mode. Candidates will be able to check their qualifying status and download their scorecard from the website. TANCET Results will be published on the website in the fourth week of March 2019. To check the results of TANCET 2019, enter your username and password. Candidates have to qualify the entrance test with minimum cut off marks to be invited for the counselling process. TANCET 2019 Answer Key will be released few days after the successful commencement of exams. With the release of answer key, the board will also publish the results. If you have any query related to TANCET 2019 Answer Key, you can ask your query in the comments section given below.